For the first time in a few years, we have a mantlepiece. The perspective of our new living room is focussed on the gas fire and mantlepiece, a little change from our former home which had an enormous picture window overlooking the garden. 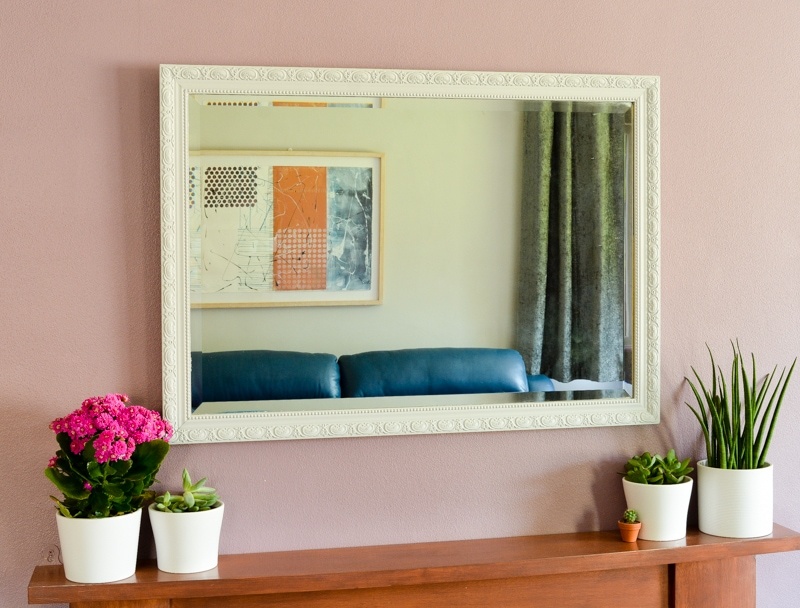 I have to admit my first thoughts did immediately turn to a large mirror, not quite the same as the view of the garden but a mirror does add reflective light to the room. When I spotted this large gold mirror in a charity shop for a mere £8 I snapped it up, the frame is not to my taste but that is easily solved. It seemed the perfect project to try out fusion mineral paint on (yes I did paint the mirror before the bedroom furniture! 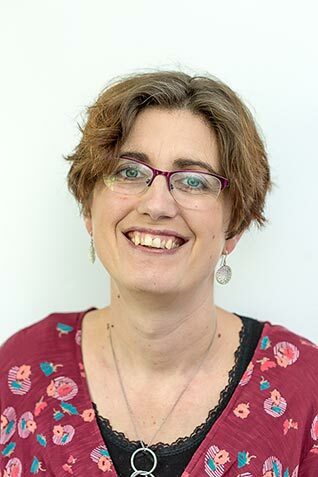 I managed so many projects a couple of weeks ago I have a few posts to share with you). This is a new paint to me, similar to chalk paint in terms of limited preparation required, but with no need to wax this is a winner to me. It is acrylic so be warned it doesn’t wash out of your clothes like chalk paint does!! 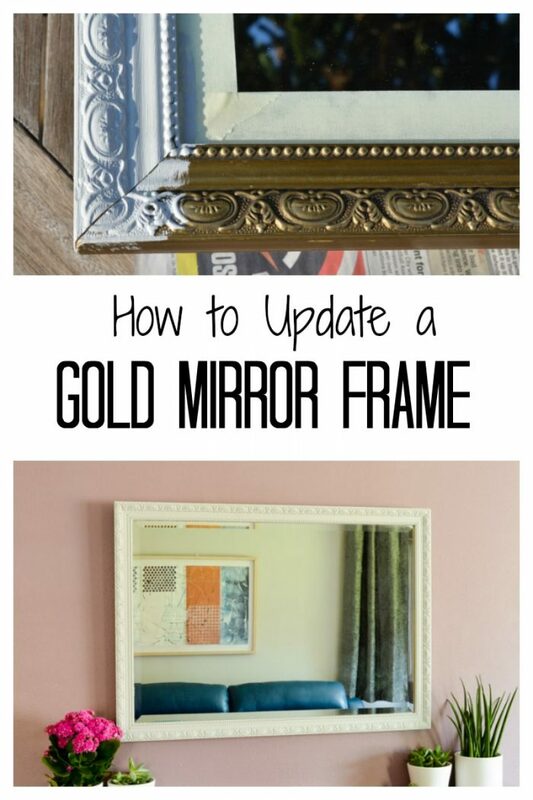 Clean the gold mirror by wiping off any dust and removing any grease marks. 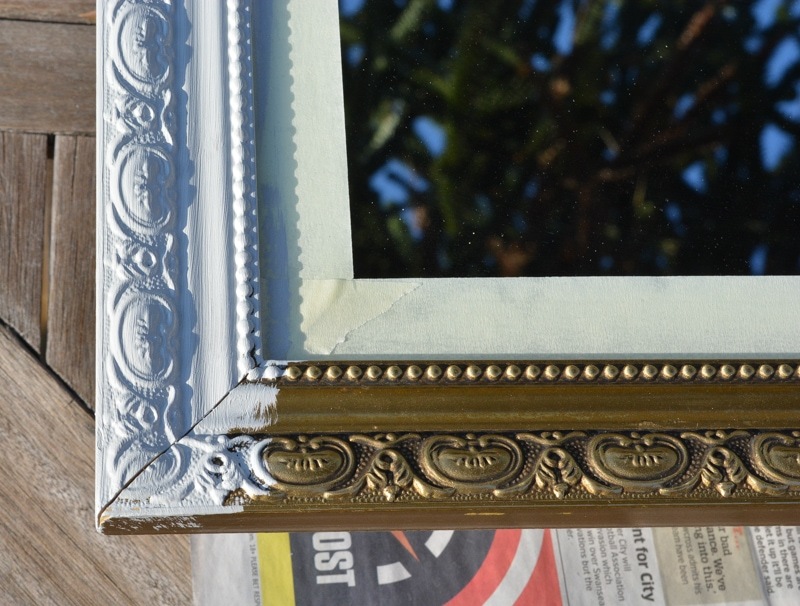 Place the mirror on top of tin cans so you can easily reach the edges of the side of the frame. 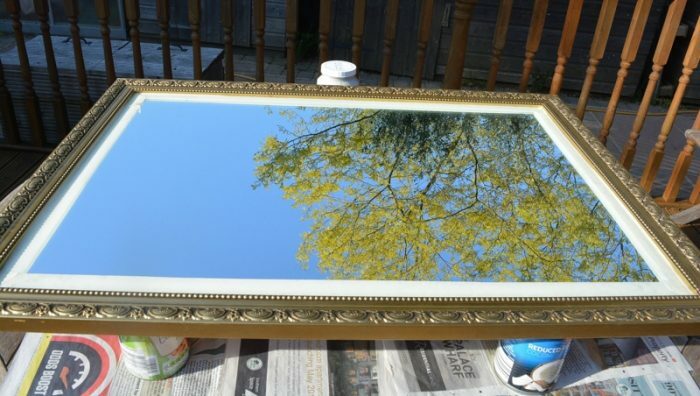 Using masking tape mask around the mirror, next to the frame, this will save you accidentally painting the mirror. Paint the frame, working the paint into all the recesses in the frame. Allow to fully dry then apply a second coat. 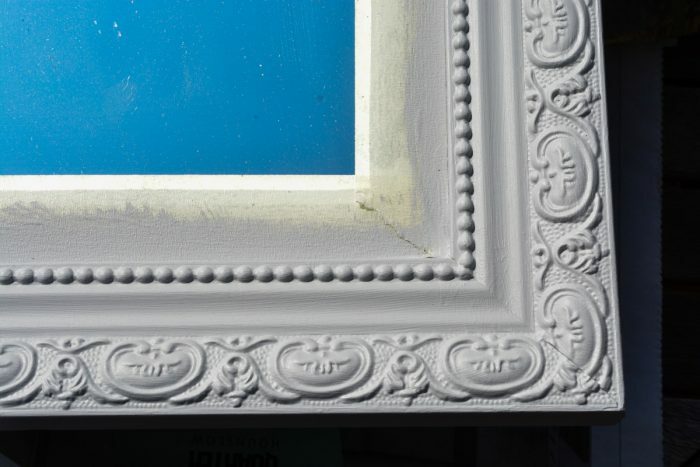 Remove the masking tape – if this has stuck to the paint you can score around the edge of the frame with a knife. If like me you have the odd splash of paint on to the frame clean with glass cleaner and microfibre cloth. Have you used Fusion Mineral Paint before? I have to admit I think I am a convert, check out my bedroom furniture project with the paint here. "Upcycled Wool Blanket Coat – Sapporo Coat Pattern Review"
This is a very beautiful post. thanks for sharing it with us.